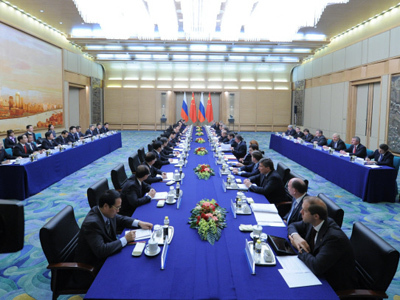 Balancing out the economic and political dominance of the West: Russia’s Prime Minister meets with Chinese political heavyweights on the second day of his visit to the country. 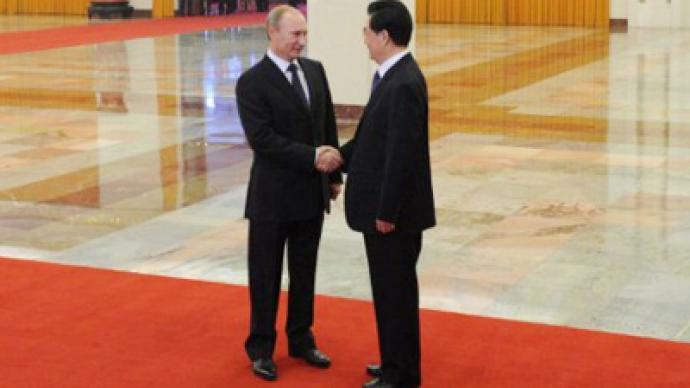 ­Vladimir Putin had a high-level meeting with the Chinese president in Beijing on Wednesday. The encounter has added a political flavor to the visit, which has thus far been dominated by a business and financial agenda. Russia’s Prime Minister has raised a whole range of issues pertaining to Russia-Chinese relations with Hu Jintao, underlining that the links between the two countries “are developing very successfully” and the visit of the Chinese president to Russia last June "strengthened these trends." 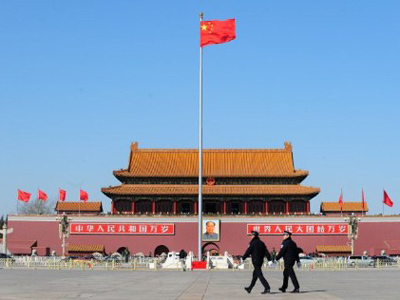 “Beijing will not only be our main partner in high-tech co-operation, but also the main market in which to sell our achievements in nanotechnology, biology and medicine,” the head of Russian government said in an interview with Chinese state broadcaster CCTV, hailing the strengthening of ties between the two countries. Both Russia and China are members of the BRICS group, along with Brazil, India and South Africa. The growing economic uncertainly in Europe and the US has seriously undermined their dominance on the global stage, paving the way for emerging economies. Prime Minister Putin said the US is making full use of the dollar’s monopoly as the sole global reserve currency and this is having negative effect on financial policy. “I never said the US was a parasite on the global economy, but I do think it's feeding off the monopoly of the US dollar as a single global currency. The problem is, it's bad not only for the world economy, but for America's economy as well, because it leads to a violation of financial discipline,” he said. The head of Russia’s government also said Russia and China should lead the reform of international financial systems and the BRICS group should play a bigger role in the global arena. “I think it's time to talk about reforming existing institutions, and first of all I mean global financial institutions, such as the International Monetary Fund and World Bank. And here we agree that the role of the BRICS countries in those organizations must be enhanced, given the growing importance of our countries' economies,” stated Putin. 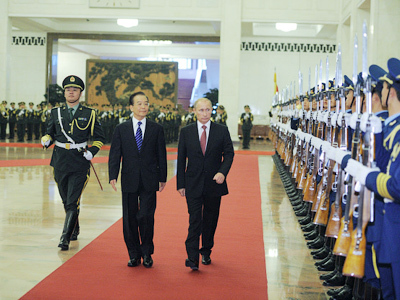 Putin also passed warm greetings from President Dmitry Medvedev to his Chinese counterpart. Vladimir Putin also met with Congress Chairman Wu Bangguo on Wednesday in Beijing, with the aim of boosting diplomatic ties. It is the first international visit of Russia’s Prime Minister since announcing his presidential ambitions in the upcoming presidential elections in 2012. It is viewed by many as a strong sign that Russia is changing the focus of its foreign policy and wants to shift the balance of the power in the world. The first day of the visit ended with important energy agreements. On Tuesday Vladimir Putin, with a delegation of ministers and top corporate representatives, concluded a range of deals with Chinese counterparts worth US $7 billion. Michael Raska from the National University of Singapore believes that Sino-Russian relations have recently progressed from peaceful co-existence to comprehensive strategic partnership and co-operation, as both countries realize the importance of their relationship-both economically and politically..
“China and Russia are capitalizing on the fact that the West is basically stalling and is facing a lot of problems,” he told RT. “So they see it as an opportunity to increase their geo-political influence, but much will depend on how it plays out in the future. What is really important is that both countries have lot of domestic issues and lots of domestic problems they need to sort out." Rask however believes the West will be watching the Chinese-Russian relationship closely, especially as Prime Minister Putin will most likely assume the presidency next year. 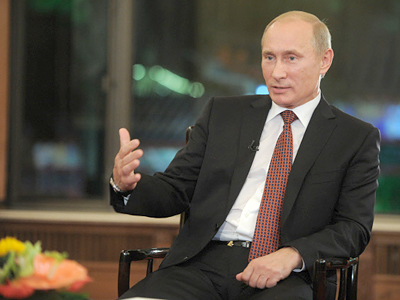 “And all depends on how the policies will be shaped towards the different aspects of the global agenda, particularly North-East Asian security issues.Prime Minister Putin is there not only to solidify his presidency next year but to get China onboard and try to strengthen the relationship with the Chinese for his big idea of a Eurasian Union that will define his presidency,” he concluded. John Lee from the Center for International Security Studies at the University of Sydney is convinced the US will be wary as relations between the two countries continue to strengthen. 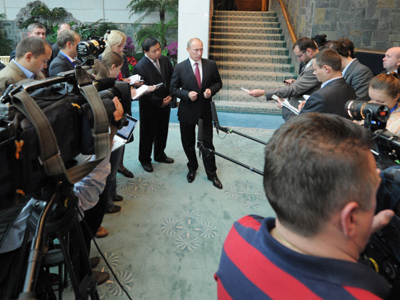 But at the same time, Washington is skeptical about the prospects of true co-operation between Russia and China. “Russia would like to balance out the power of the Americans, but still doesn’t want a dominant Chinese PLA Navy [[People’s Liberation Army Navy]]. So Russia is walking a very fine line at the moment. The Americans know that. The Americans will watch what is happening,” Lee concluded.